Ish Sodhi will put his position at number three in the world’s T20 bowling rankings on the line when New Zealand take on table-topping Pakistan later today. Sodhi, who has starred in each of the last two domestic T20 campaigns for the Outlaws, will line up against a Pakistan side topping the ICC rankings in the format. The action in Abu Dhabi gets underway at 4pm today, UK time. The leg-spinner’s prospective dual with Babar Azam, the number one batsman in the world in the format, could be crucial to the outcome of the fixture - which is the first in a series of three T20 Internationals between the two sides. Pakistan emerged victorious from the corresponding series in New Zealand in January by two matches to one. 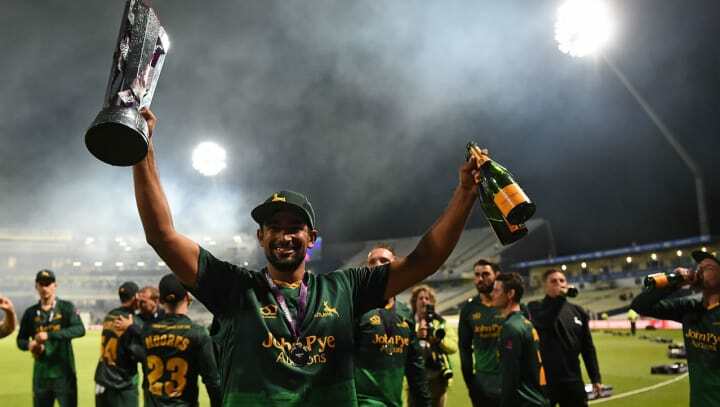 Memories of Sodhi performing for the Outlaws could not be fonder, with the 26-year-old having lifted the NatWest T20 Blast trophy in 2017 and taken 34 wickets in 31 matches for the county across the past two seasons. Remarkably, Kane Williamson's Black Caps – who will face India at Trent Bridge in the ICC Cricket World Cup on 13 June - have not played an international fixture in any format since April. Kiwi batsman Ross Taylor also enjoyed a spell at Trent Bridge in 2018 – and the nation’s batting coach, Craig McMillan, believes his charges will benefit from the experiences they have garnered away from the international arena. “We've had a lot of players playing in different competitions around the world from the CPL to the IPL to the NatWest over in England,” he said. “We know Pakistan are a very strong side; No. 1 in the world at the moment. Very hard to beat in home conditions. “But we had a successful last tour here in 2014 and we've got a lot of the guys back from that trip and it's something we're looking forward to." Pakistan, who visit Trent Bridge for a one-day international fixture against England on Friday 17 May, have won each of their last ten series in the 20-over format. “Every T20 team is a tough opponent,” said their combative captain Sarfraz Ahmed. England will finalise their preparations for the ICC Cricket World Cup with a Royal London One-Day International Series against Pakistan, with the fourth fixture taking place at England’s high-scoring haven of Trent Bridge on Friday 17 May.